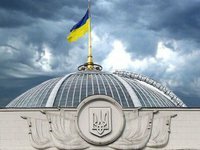 Ukraine's Verkhovna Rada at the second attempt passed the refinements to bill No. 9260 from the budget package proposed by the parliamentary committee for tax and customs policies, annulling the gradual increase of environment tax rates from current UAH 0.41 per tonne to UAH 25 per tonne in 2022. A total of 248 lawmakers backed the decision, an Interfax-Ukraine correspondent has reported. According to the amendments proposed by the committee, posted on the website of the parliament, the refinements to the bill provide for an increase in the tax rates for carbon dioxide emissions from UAH 0.41 to UAH 10 per tonne. At the same time, the bill passed by the deputies on November 23, 2018 contained a provision for further increase of this tax: from 2020 to UAH 15 per tonne, from 2021 to UAH 20 per tonne, and from 2022 to UAH 25 per tonne. In addition, the approved amendments extend the exemption operations with scrap ferrous and non-ferrous metals, paper and cardboard for recycling (waste paper and waste) from VAT until 2022. As reported, the deputies at first did not support the amendments proposed by the tax and customs policy committee. However, before closing the session, the deputies decided to return to this issue. Bill No. 9260 with amendments to the Tax Code provides for a rise in a number of excise taxes and duties. People's deputies passed it at second reading in the early hours of November 23, 2018. After that, the head of the relevant committee Nina Yuzhanina declared the need to make refinements to the already voted law.